Tue., Nov. 14, 2017, 10:04 p.m.
U.S. AIR FORCE ACADEMY, Colo. – Delaney Hodgins, who finished with game highs of 28 points and 12 rebounds, provided a last-second blocked shot Tuesday as Eastern Washington defeated Air Force 65-63 in overtime in nonconference women’s basketball. Hodgins, who was one point shy of her career high, shot 11 of 19 from the floor while playing 41 minutes. She preserved the victory by blocking Naomi Hughes’ shot with 1 second left and hauling in the rebound. Hodgins, with 1,484 career points, moved into third place on the school’s all-time list. Hodgins’ 3-pointer gave the Eagles (1-1) a 65-63 lead with 16 seconds left in OT. Hodgins missed two free throws with 8 seconds left, but she and Brittany Klaman had blocked shots in the final seconds to hold off the Falcons (0-2). 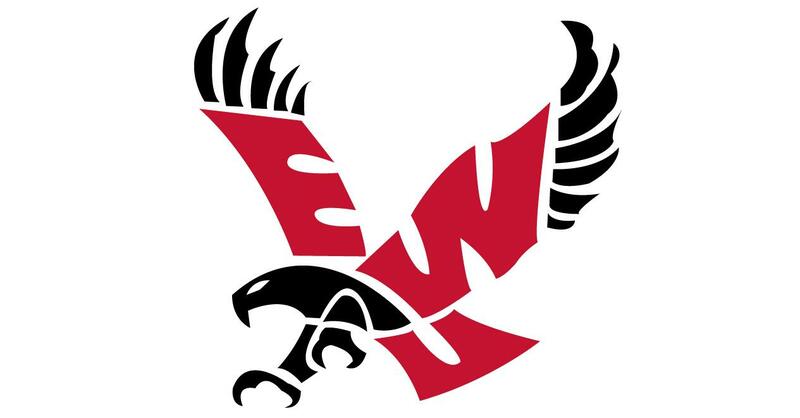 EWU’s Symone Starks hit a 3-pointer with 1:50 left in regulation to tie the game at 57. Neither team scored during the rest of regulation. Violet Kapri Morrow added 13 points for the Eagles, hitting 9 of 10 from the free-throw line. Published: Nov. 14, 2017, 10:04 p.m.